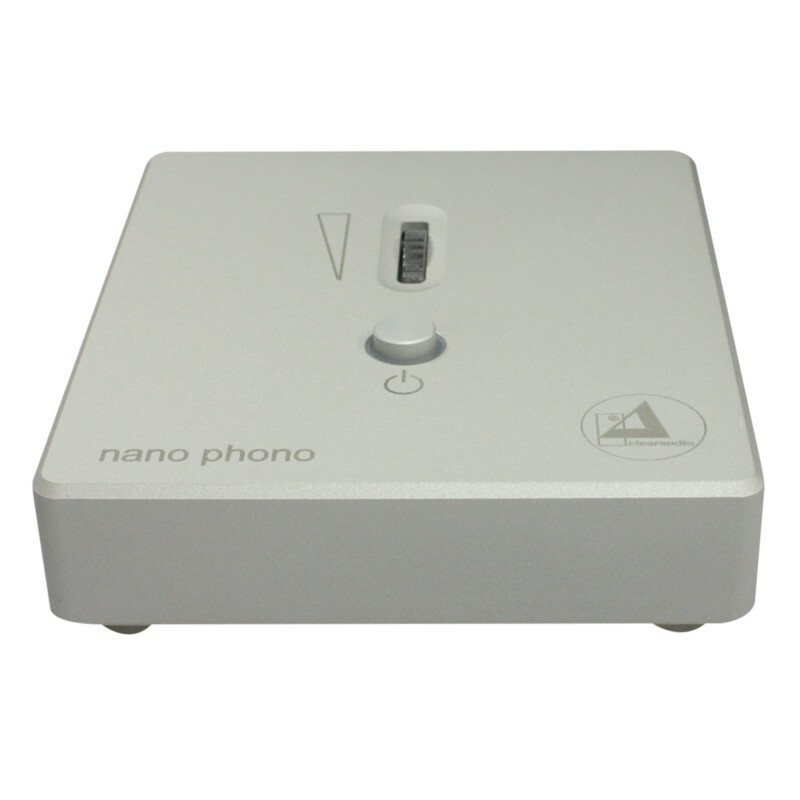 The Clearaudio Nano Phono has been a best-selling product for the brand for several years now. 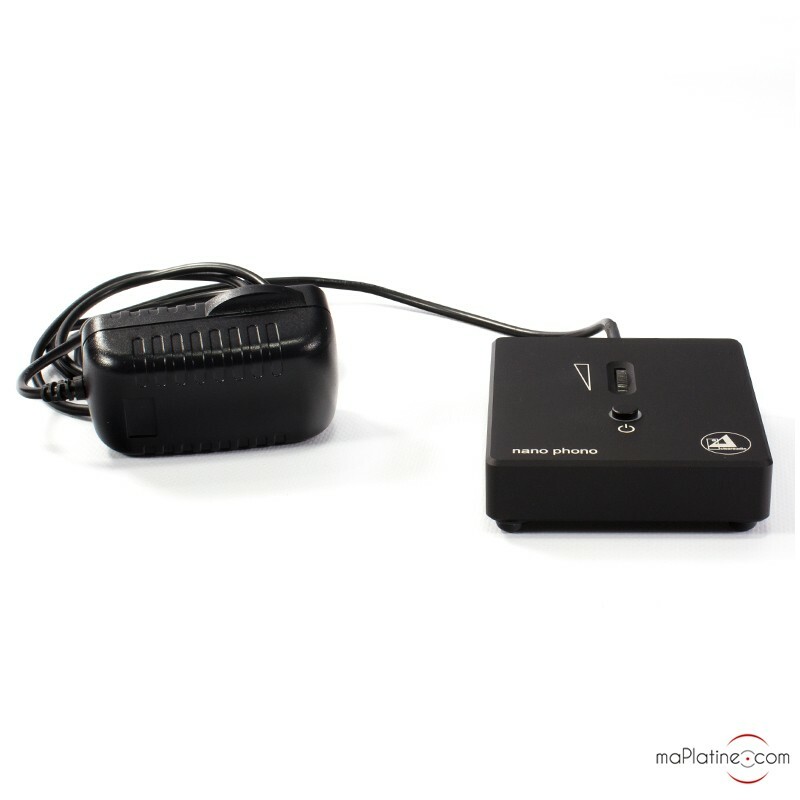 On the back of this success, the German manufacturer has created a new and improved version. 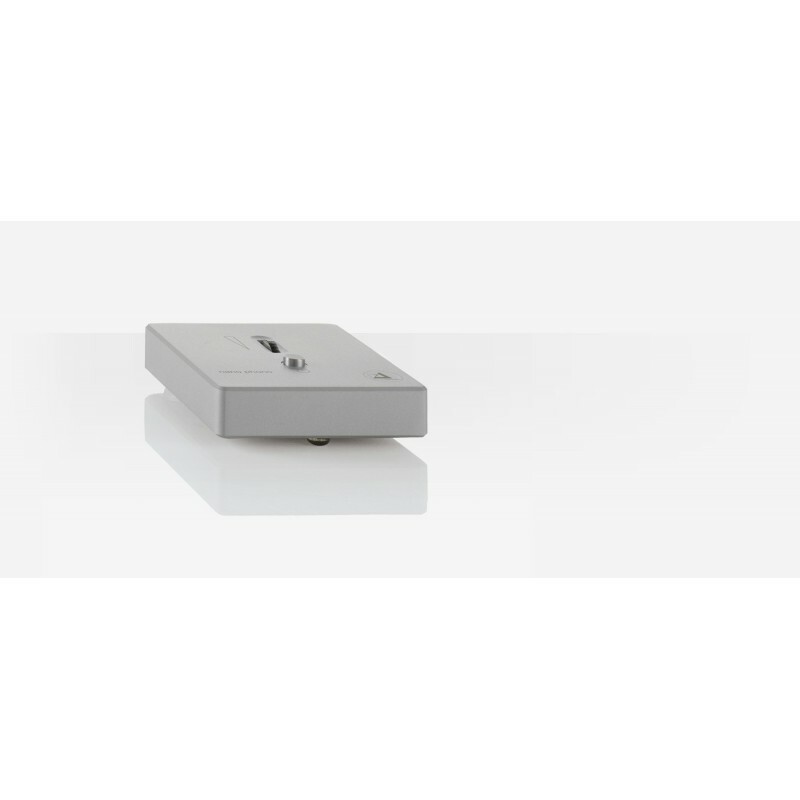 This new anti-resonance and non-magnetic unit is made of striking brushed aluminium with rounded angles. 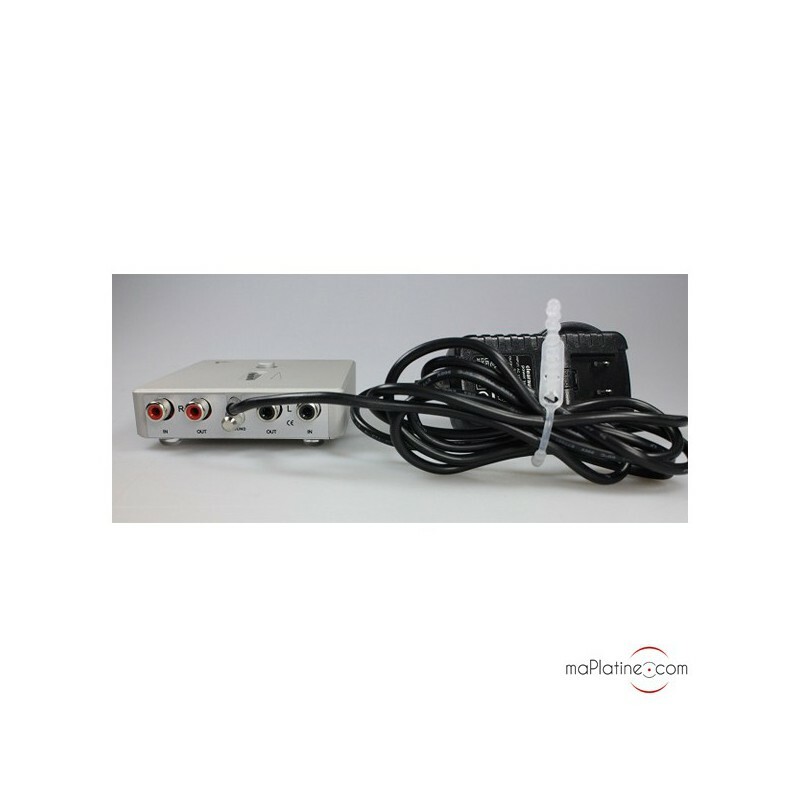 The rear panel includes two RCA pairs (in and out), a ground plug for the ground connector if your turntable has one, and the input of the new DC outboard power supply. 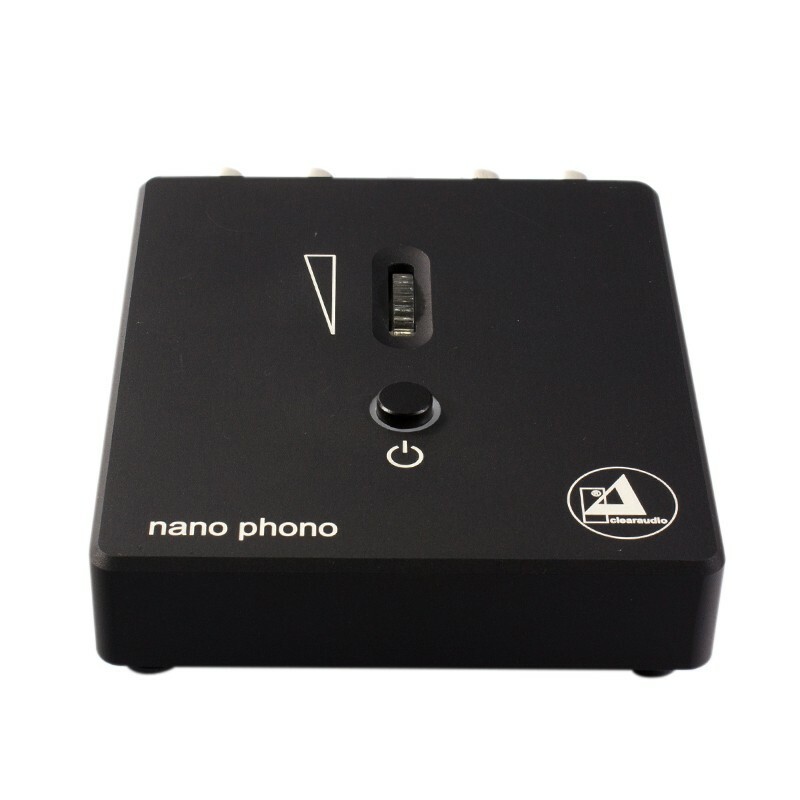 Like its predecessor, on the bottom of the Nano Phono V2 are mini switches for moving between MM and MC, and for turning on the subsonic filter, which restricts the lowest end of the bass register and prevents clashes in these frequencies. 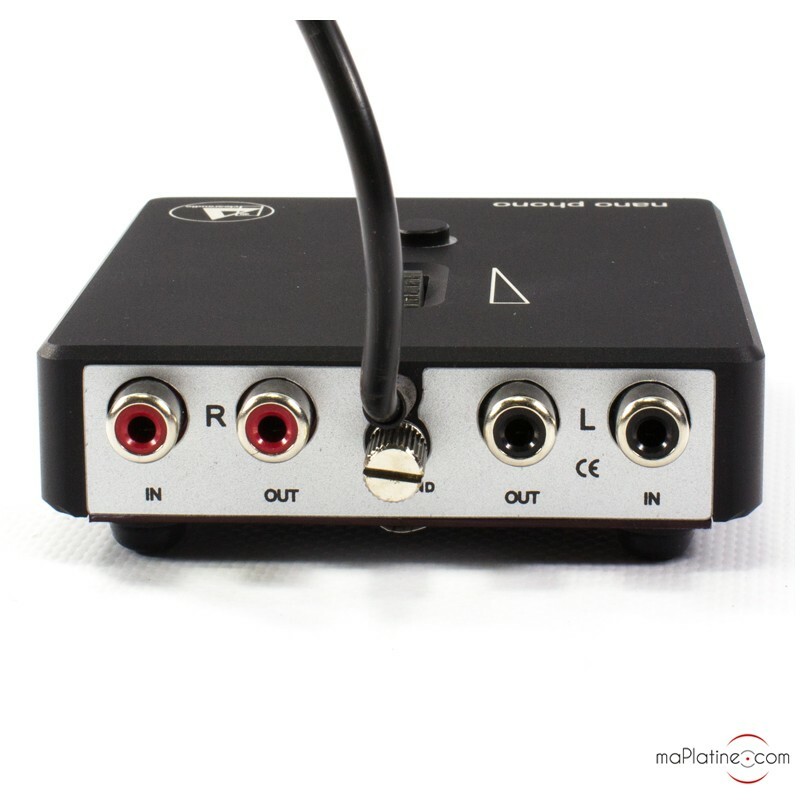 Note: these adjustments are completely separate for both channels as the preamp has a double mono design. To pack as much technology as possible into this tiny housing, the manufacturer has used carefully selected CMS components that were assembled manually at the Erlangen site and tested several times throughout the manufacturing phase. 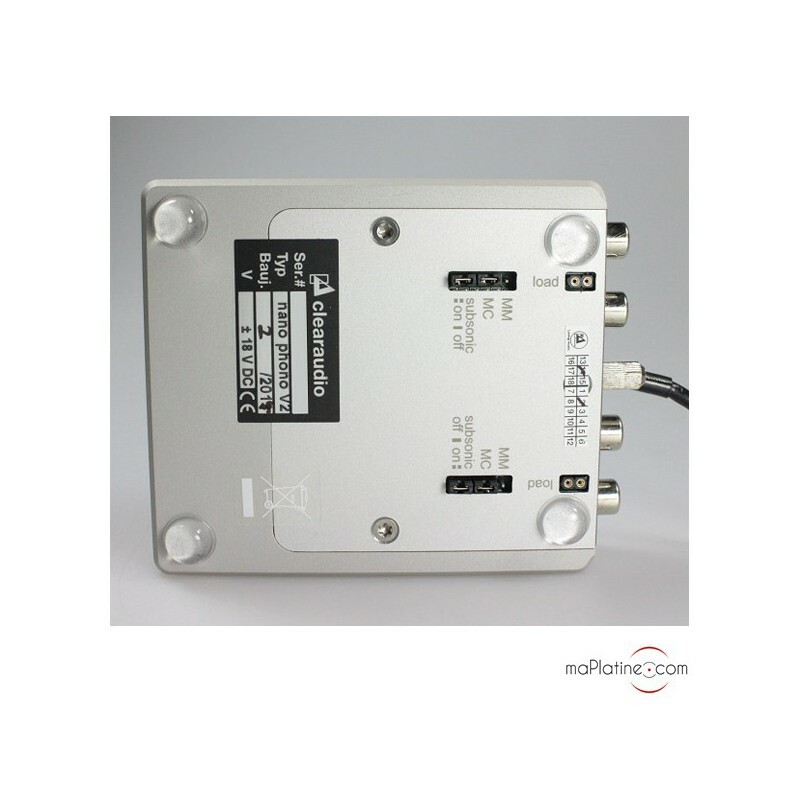 All these measures, combined with an assembly using very short leads, provides a signal-to-noise ratio of 81 decibels! 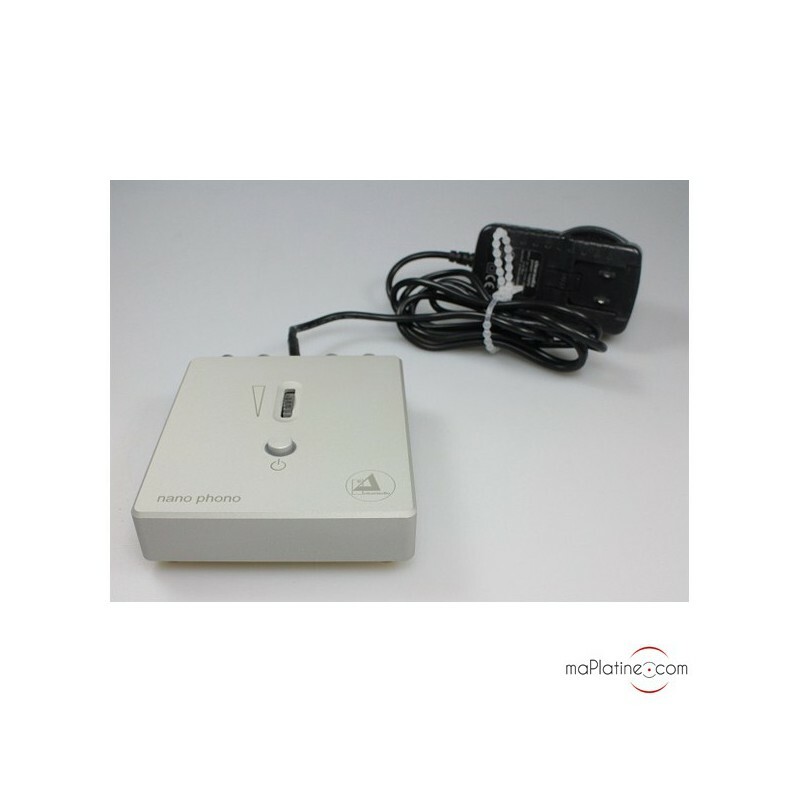 It comes with a set of 4 pairs of resistors (51, 200, 402, 1000 ohm) for accurate adjustment of the MC cartridge load. They slot easily into the two housings on the underside of the unit, without the need for welding or tools. 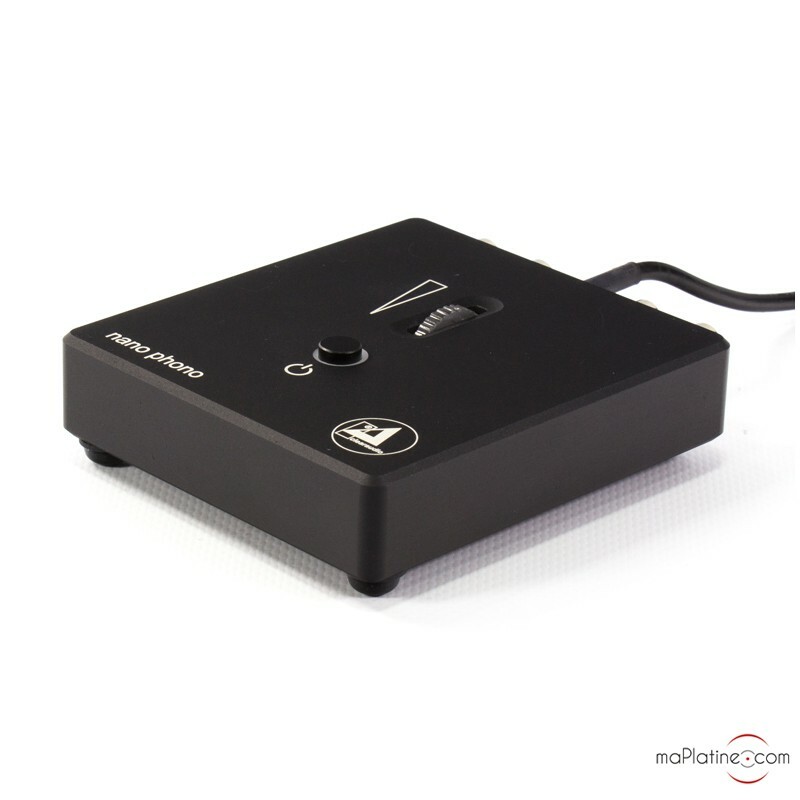 You can adjust the gain between 34 and 68 dB (depending on the cartridge) using the thumb wheel on the top of the unit – it couldn't be simpler. Let's not beat about the bush! 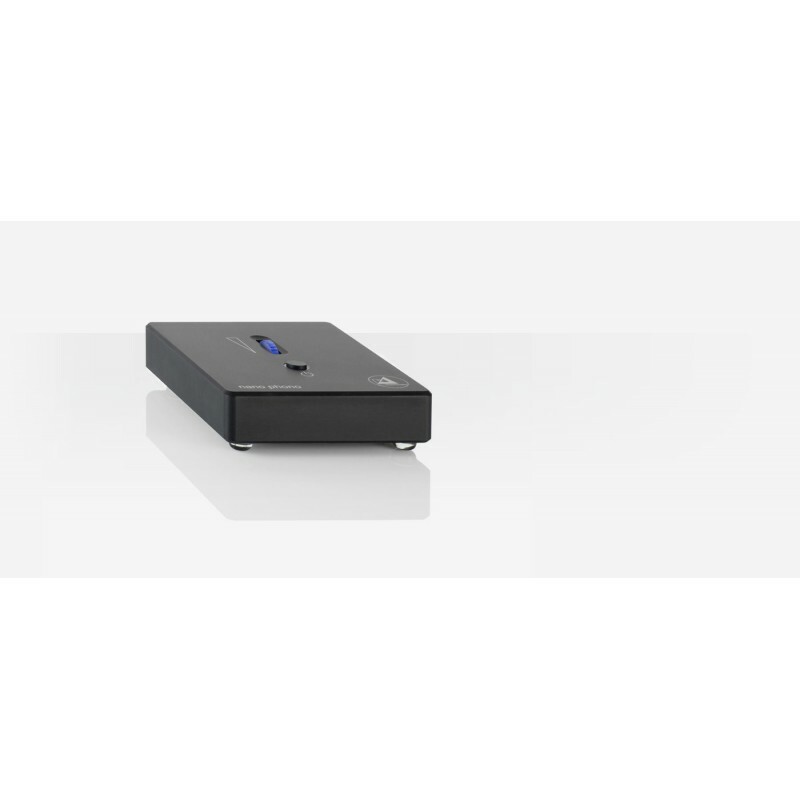 The sound quality delivered by this preamplifier stands in stark contrast to its size. 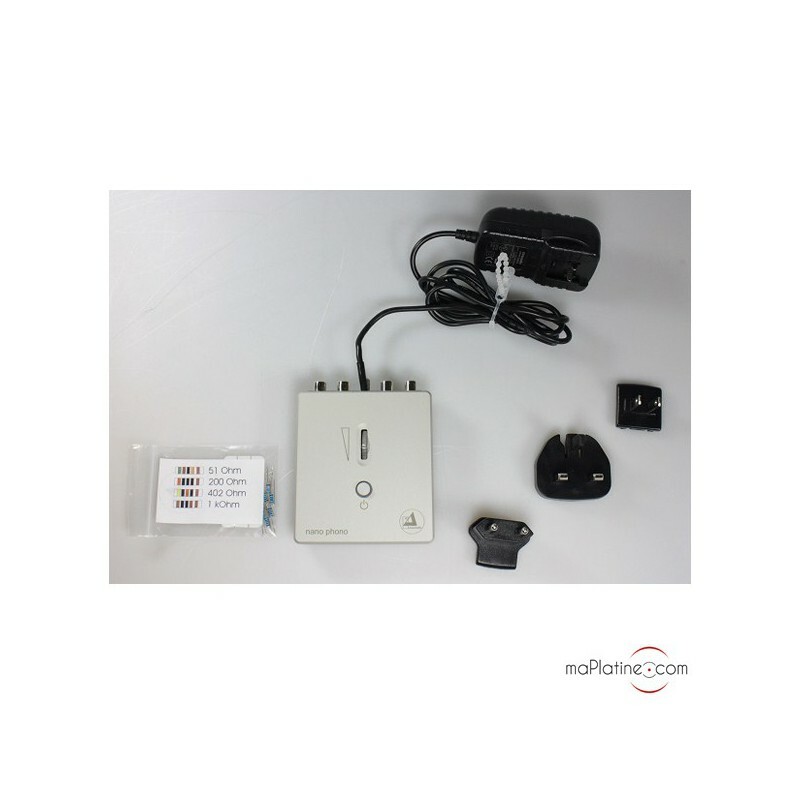 Within this price range, it is certainly the most impressive we've come across so far. The dynamics are amazing and span evenly across the entire spectrum. 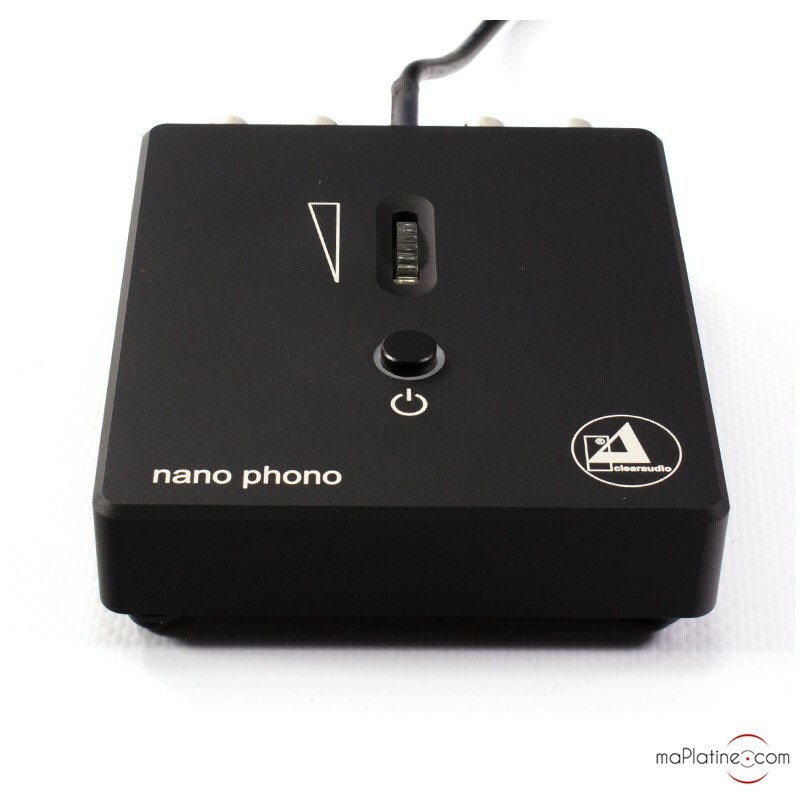 The standard of transparency and detail it offers is well above what you would expect from a phono preamplifier under €350. The sound stage is precise and realistic enough to please those of you who enjoy symphonies and orchestras. The overall balance is clear and defined, without a hint of harshness or accentuation of hissing sounds in the vocals. 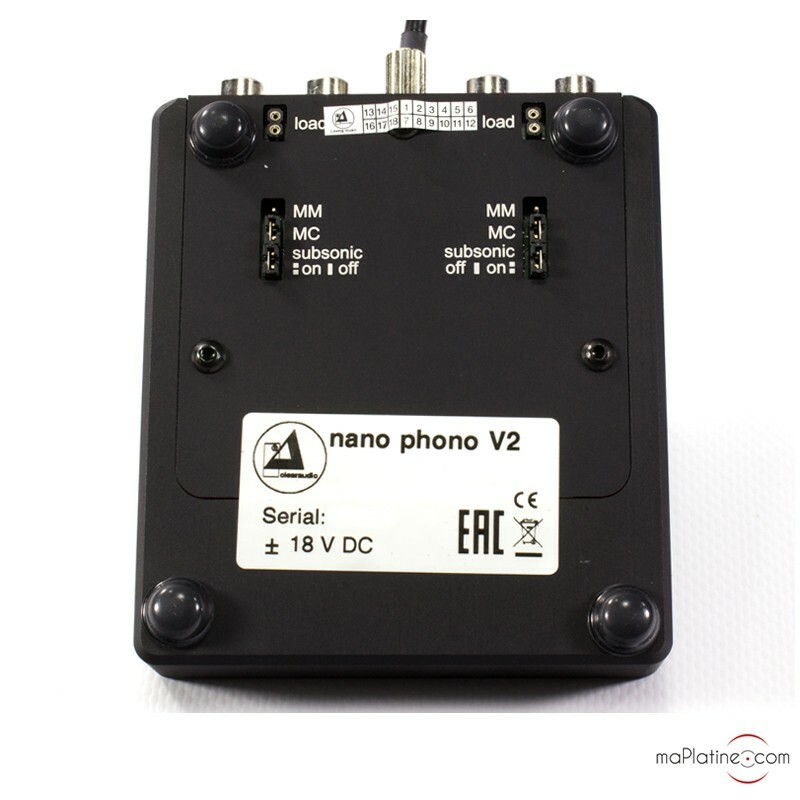 The Clearaudio Nano Phono V2 is a highly versatile preamp, offering many new and exciting possibilities. Obviously, it was designed to be perfectly compatible with the manufacturer's own MM and MC cartridges, but it can also be used with (almost!) any other cartridge. Highly recommended – a new benchmark!